Pataleshwar Cave, Pune - A Monolithic Architecture - Journey & Life. Pataleshwar Cave is one of the finest masterpiece of rock cut architecture, carved out from a single rock in the 8th century in the Rashtrakuta period. The whole structure is carved out of basalt or black rock. Pataleshwar is derived from two words “Patal” (means Underground of the earth) and “Eshwar” (means God) literally means “God of underground”. It is said that the cave was left half constructed possibly because of a fault line found at the back of the cave, which made the further sculpting unsafe. There is huge grass lawn outside the cave surrounded by few old Banyan trees, we can find many students studying here beneath the trees shadow. If you are history buff, an avid traveller or a mythology enthusiast then this is the fascinating place to be visited in Pune. 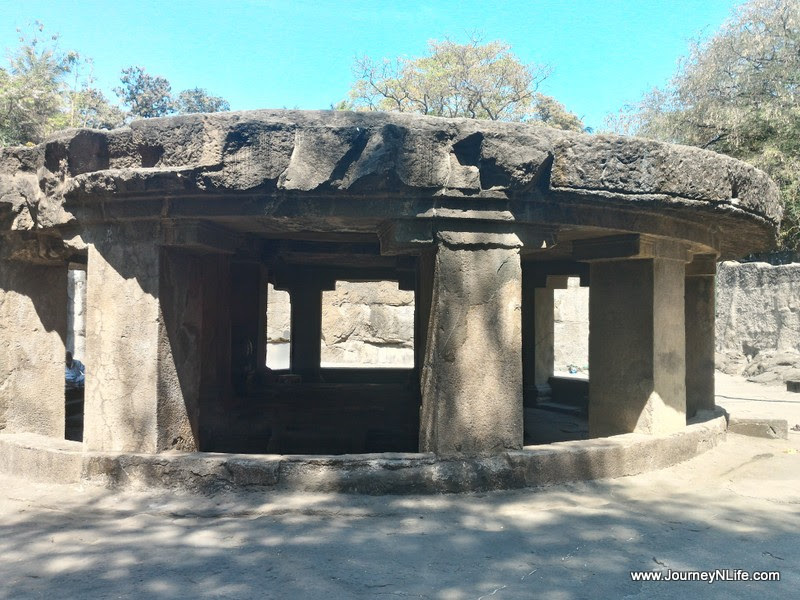 Pataleshwar is certainly a must visit place among all the site-seeing places in Pune.